mothers day | Does this look good on me? Ladies and gents, I was lucky enough to be invited to a Mother’s Day Top Picks event by the Accessories Council in NYC this year. There I was introduced to about a dozen fantastic gifts to present to your Mom in the event that you still want her to speak to you, or better yet, NOT speak to you at all except to tell you that you are fabulous and babysit when you go to Europe for a week to ten days at the drop of a hat. jewelry ideal for any mom. 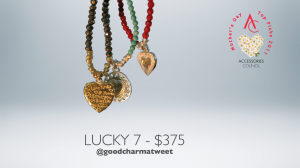 It features genuine turquoise, lapis, red coral and pyrite gemstones with sterling silver and 22k gold vermeil nuggets. They are adorned with really cool heart charms. 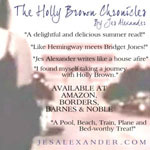 They can be found at Bloomingdales at a starting price of only $75. What I love most about these is that they are so lightweight and colorful! You can stack them, they look great, and you don’t even know they are there. You should too! Cuts down on the Botox. : ) Note: Hell, no, I don’t use Botox. Here is a great “No autographs, please” look by the chic Michael Kors. 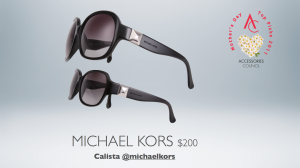 The Michael Kors collection launched a glamourous range of sunglasses named Calista. They actually come in two sizes, to better flatter your face. Whether your Mom is Edgy or a bit more understated, both shapes will work . Retailing at only $200 these are an absolute must with summer just around the corner. 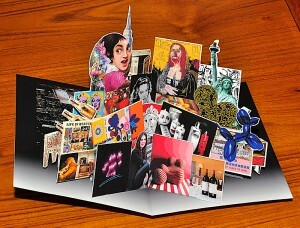 her art orientated interactive iPad and iPhone app for children about the life of Mexican artist Frida Kahlo, was recently selected by Time Out London as one of the best apps for 2011. Maria’s New York based interior design company with a strong focus on contemporary and modern art, art collecting, wine collecting and customized wine storage. She is the one to call to make your house a home. 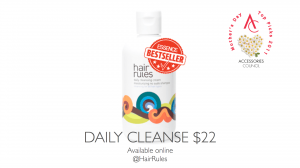 detangle hair while cleansing, leaving your hair, shiny, soft and silky. This company actually SPECIALIZES in those of us with unruly hair. I had the pleasure of meeting the owner and partners at another event recently. All really great folks. Any mom, even one without major hair issues, is going to be so happy to receive some really fantastic pampering products from Hair Rules. The cleansing cream retails at $32 for a 16oz bottle and will last for ages. Always check their website for special offers and of course hair styling tips. impressed. This necklace has gorgeous Mother of Pearl on the back of a faceted blue stone which is surrounded by genuine marcasite. I literally saw it and said “WOW”. It has an intricate sterling chain which can either be worn long at 36″or halved to hang at the neckline, 18″. I’m telling you, it’s Genius. 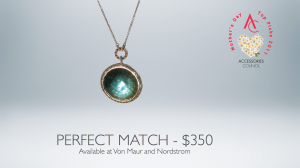 It retails at $350 and is a perfect gift for any mom and can be found at Nordstrom and Von Maur. Of course, if none of these really magnificent gifts works for your Mom, or you just really want to overwhelm her with your undying adoration, I am adding new jewelry to my own site every day, so have a peek there as well. Remember, be good to your Mom, and those who ACT like your Mom.